Video Calling is estimated to be 'boom' in 2011. Related to this, a major player in the desktop application, supposedly released ooVoo video chat application designed for Android users. 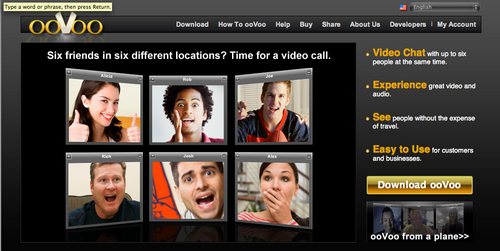 Interestingly, video chat application that allows users to do video chat with more than 5 people at the same time. Not only that, users also can save the 'memory' is also possible to upload it to Youtube and Facebook.